Topiary Sunday for Flower Show Competition Monday! Almost every month October-April my garden club has a floral design competition. This month I signed up to compete; I’m an Advanced II designer this year and was required to create “A Small Design not to exceed 8” in height, width or depth, staged on a 9”x9” white cube provided by committee, staged on a table on stage 42” from floor. Believe it or not, that’s a pretty broad design category! 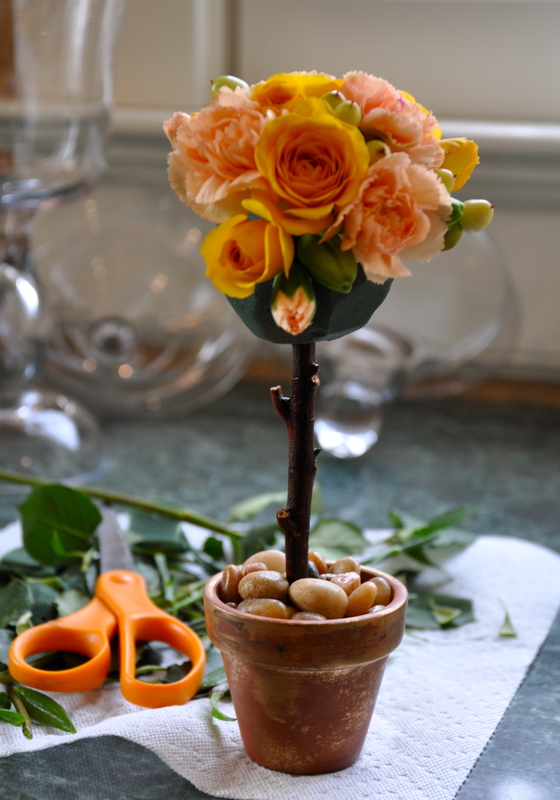 Wanting to do something “different” than a traditional design in a vase, I created a small topiary. 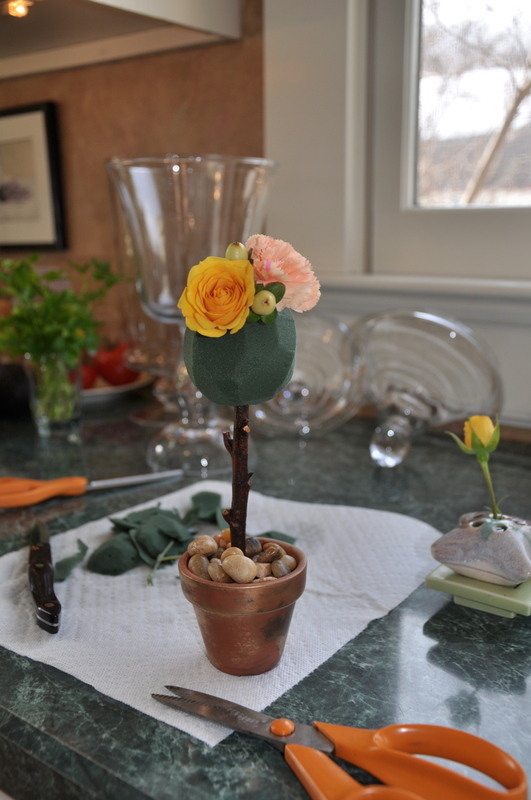 It took me three hours to complete from clipping the branch I used for the topiary stem to adding the last flower to the oasis ball. 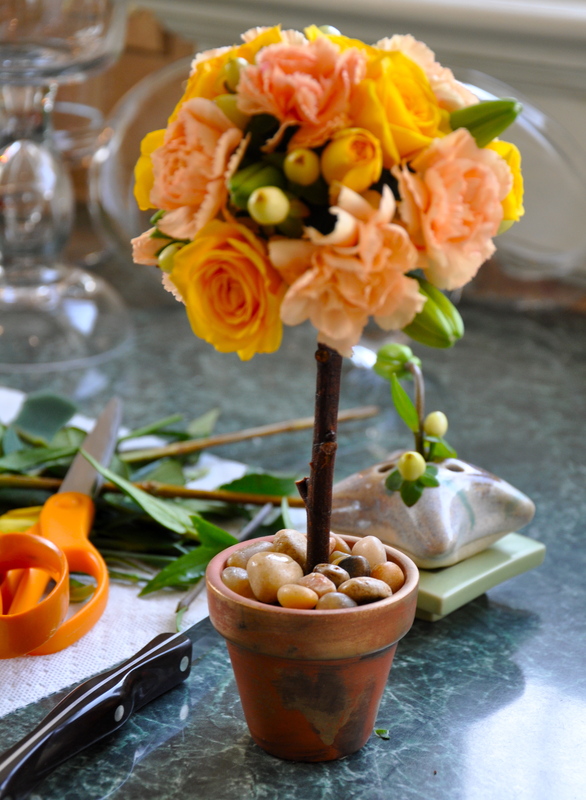 The design, as small as it is, used a lot of flowers. I really enjoyed the process and by the time I showed my husband Mike and daughter Tory the finished design I told them it didn’t matter if it won a ribbon because I enjoyed the design process so much. And I meant it! Would you like to see how I did it? Take a look! 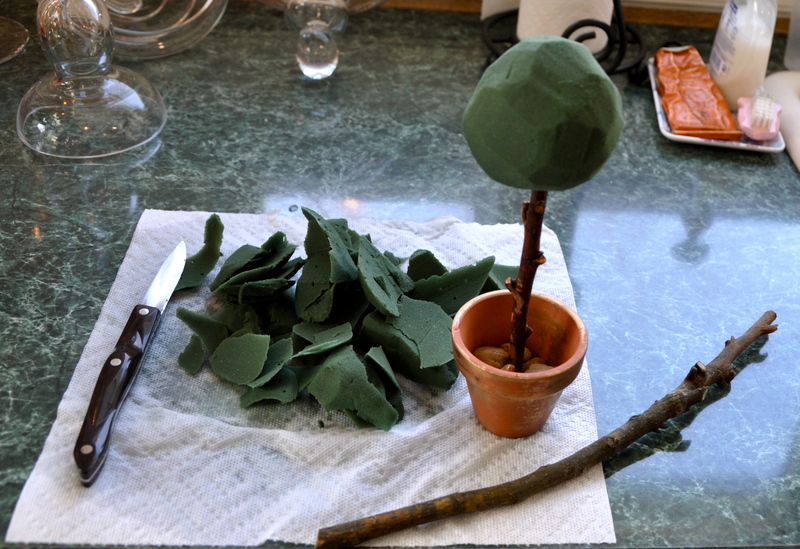 First I cut a stick to length, carved dampened oasis into a right-sized ball, joined the two and inserted them into a small terra cotta pot I "aged" for a previous design last year. I purchased the fresh flowers on Friday and had them "conditioning" in my cool basement until I needed them. I started by inserting flowers near the top, remembering I had a maximum height restriction. 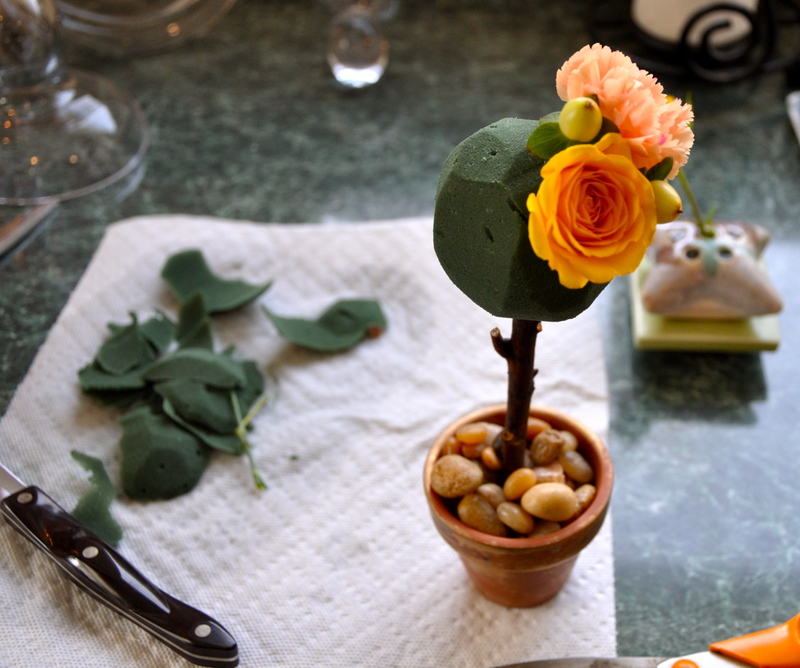 I worked my way around the ball, alternating flowers by shape and size as I went. 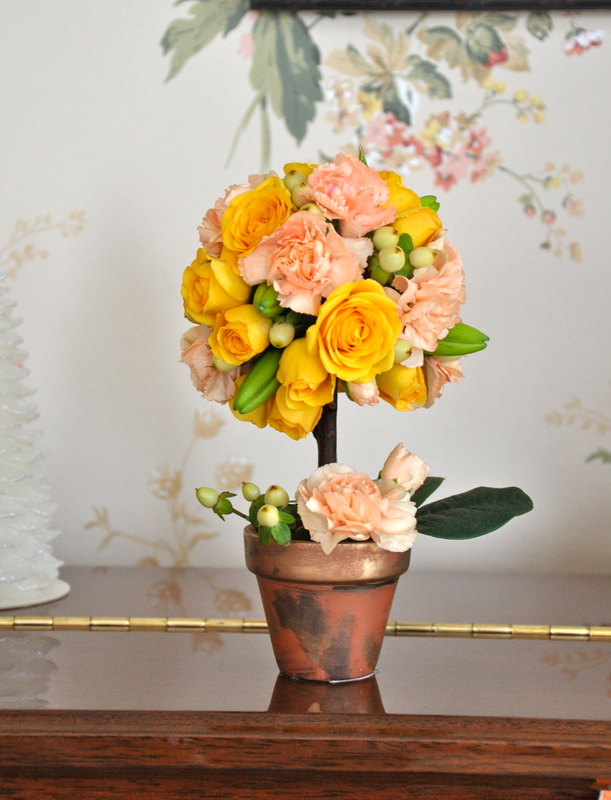 Carnations are not the best flower to insert into a design ball this small! It gets challenging the more flowers you add. And I didn't read any how-to instructions before I started. Duh! Almost finished. It was a challenge to keep the carnations stuck firmly in the oasis ball! Here's the finished design, which I photographed then took to my cool, cool basement to sleep overnight! 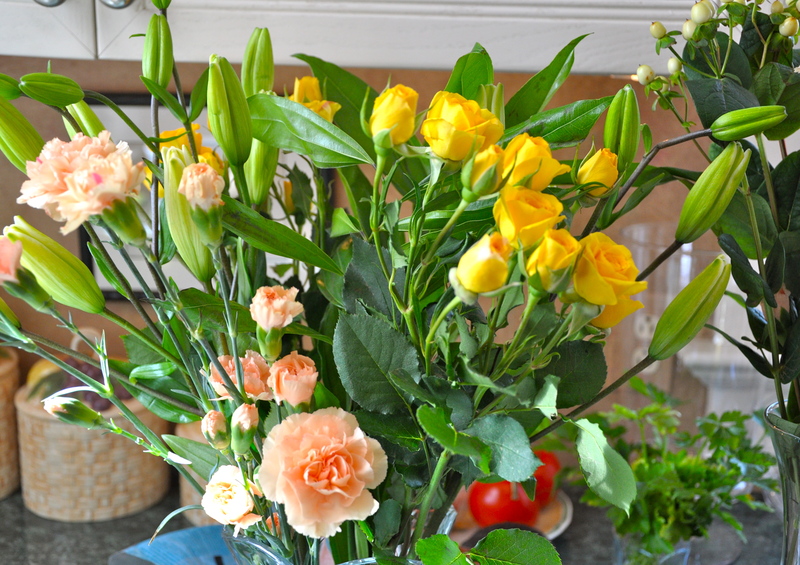 The cooler you keep the arrangement the better it looks for the next day's competition! I LOVED IT!!! HOPE YOU WIN!